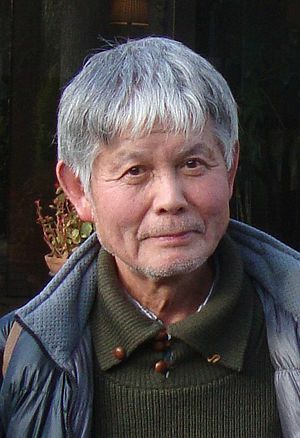 Mutsuo Takahashi is a major figures in Japanese verse. A visit to Ireland inspired the poems of this engaging volume, expertly translated by Japanese academic Mitsuko Ohno and Irish poet and academic Frank Sewell. The result is a fascinating bridging of cultures, an illuminating view of Ireland from ‘the outside’ and a journey to the well of inspiration for this major poet. Mutsuo Takahashi was born in Japan in 1937, and educated at Fukuoka University of Education. A playwright and poet, he has published many collections of poems in Japanese and his On Two Shores: New and Selected Poems was published in April 2006 by the Dedalus Press, featuring translations by Mitsuko Ohno and Frank Sewell, and with an introduction by Nobuaki Tochigi, according to whom Takahashi is "a traditionalist, who is able to feel at home with such long-established poetic forms as haiku and tanka, as well as theatrical forms such as Noh and Kyogen. Yet, this is but one side of his resourcefulness; he is first and foremost a free verse poet who lives a cosmopolitan life."